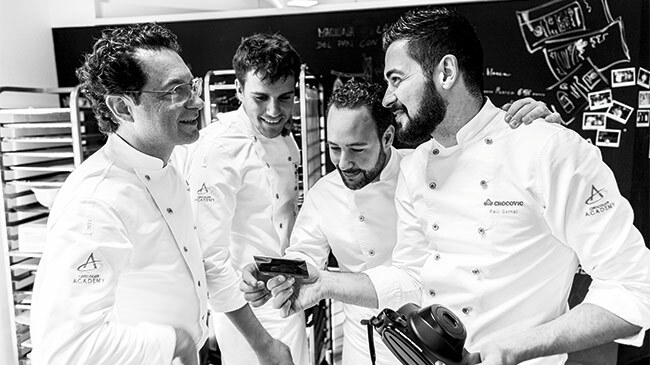 Four in One, the ambitious book writing by eight hands, Ramon Morató, Josep Maria Ribé, Miquel Guarro, and Raúl Bernal, has all the components to be a great reference for modern pastry. In addition to being a book full of creativity, modernity, and good taste, with chocolate as the central axis, it is an essential manual for professionals who want to obtain technical and detailed information (step-by-step) on emulsions, bars, and numerous ideas to increase creativity. Here we have started a tour of four important techniques that are covered in the book: macarons, jellies, dragees, and cream spreads. The first stop: a round delight that is made with almond powder, sugar, and egg white. Despite their apparent simplicity, macarons tend to resist those who start out in their creation, but it is important to have a series of clear considerations to achieve a perfect result. Next, we do a brief review of the contents that you will find in this book in great detail. 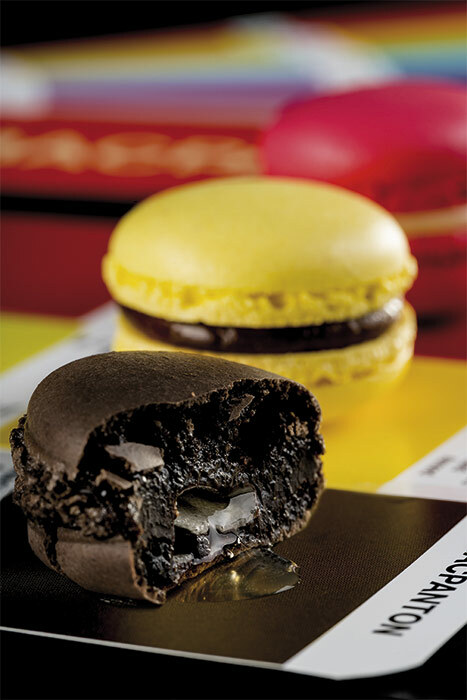 Macarons, as we all know, are a pastry specialty in which color and flavor cannot be understood separately. Looking for a way to link these two concepts, color and flavor, in a fun, orderly and modern way, Josep Maria Ribé has created the Mac-Panton. 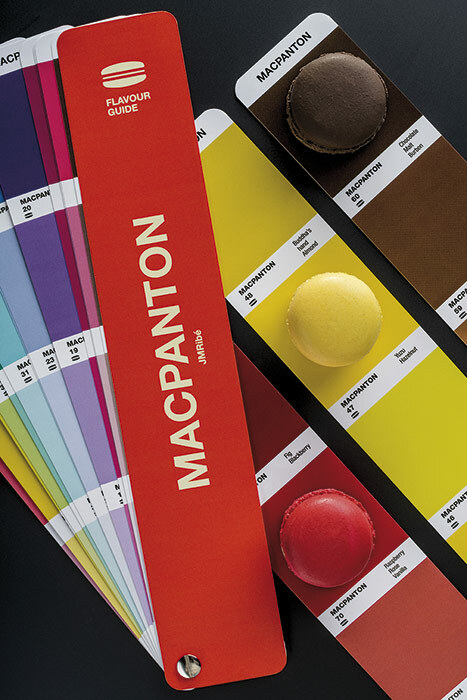 It is nothing but a guide of flavors and combinations which we directly link with the colors of each macaron. In order to do it, he has used an analogy with the popular Pantone chart, an identification, comparison and communication color system widely used and accepted in the graphic art sector. His Mac-Panton is presented as a tool which can be very useful in our businesses with the aim of offering our macarons to our customers in a more creative way. In Italian macaron recipes that we know today, we will not find great differences between one or another. Almost all of them are composed of the same ingredients and the percentages are also similar, as detailed in the book and which we summarize here. In Four in One, the steps in the creation of a classic Italian macaron measuring about 4 cm in diameter are also thoroughly reviewed. It starts from the mixture of sugar, almonds, and cocoa (in the case of chocolate macarons), all properly processed into powder. The making of the meringue, with all the steps detailed with meticulousness and the later mixture of the marzipan. The dosage, letting it sit, and the subsequent cooking are unveiled, contemplating the possibilities that we have within reach in each case. In the book, attention is paid to the fillers which are used the most. 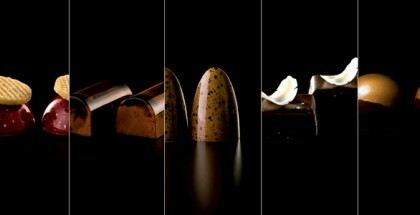 In Four in One, moreover, there are guidelines for maturation, an extremely important and often forgotten step in which the moisture of the filling is balanced with that of the macaron. And once you have matured macarons, there are two options to conserve them. 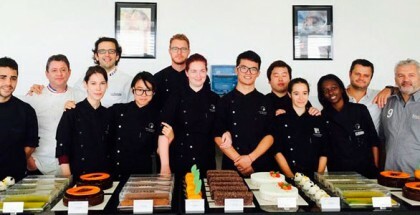 Discover all the details and step-by-step instructions of the technique for making macarons, as well as the recipe of Hazelnut and yuzu macaron, Madagascar Malta Bourbon and chocolate macaron, and Tahitian vanilla, raspberry and rose macaron in Four in One.